Happy Saturday! !Are you enjoying your weekend so far? I know I am! !😊 Today I’m so excited to bring you another segment of “We Are Overcomers”. The We Are Overcomers segment of Woman: Redefined is so special to me because it gives women all over the world the opportunity to share their stories of grace so that other women might be free. A lot of the times we as women have a tendency of thinking that we’re alone in our journies but I started the “We Are Overcomers” segment to show women all over the world that they’re not alone in their journey to freedom. Today’s story of grace comes from Carolyn. Carolyn is a wife of 8 years, a mother of 5 little ones, and a blogger at ParticularlyCALLED. ParticularlyCALLED is a ministry that seeks to help you discover a deep and passionate love affair with God, His plan for your life, and the person you are created to be. Today Carolyn shares her story of overcoming control issues and learning to trust God wholeheartedly. Tiarra Brown Osei: Hi, Carolyn. 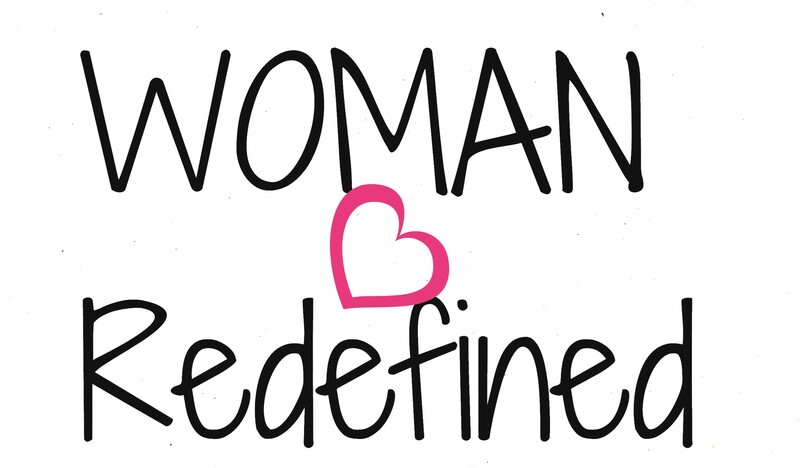 Thanks so much for being willing to share your story on Woman:Redefined. Let’s start from the beginning. When did you become a Christian? What was the defining moment that caused you to surrender your life to the Lord? Carolyn: Hi, Tiarra. Thanks so much for having me. I have been Christian all my life, born into a Christian family. My Relationship with God has been there ever since I can remember but it was only after I started seeing in hindsight how it was affecting me and how He protected me through College and my Travels, especially in the “romance” department, that I really started being grateful for it and recognizing how tangible it was and how much He cared about my happiness. It was only after I married my husband that I recognized what a GIFT my relationship with Him was and started taking it more seriously and to a much deeper, more personal level. Tiarra Brown Osei: It’s amazing how God uses certain situations in our lives to bring us closer to Himself. Tell us a little more about your story and testimony. When did you realize that you had a control issue? Carolyn: This is a pretty recent development. Honestly I would have to say that I am still going through it, to a degree. But the first time it began was when I was pregant with my first child. I was so excited that I desperately wanted to share her movements with my husband and my family, but no matter how hard I tried or how jumpy she was, I could NOT make her move when anyone else was touching my bump. She had a mind of her own even from her very first moments in the womb. I never recognized that this was a symptom of my “control issue”, until I was complaining to my husband about something not “going right” one night before bed and he told me that I wouldn’t be bothered by it if I didn’t have such a “control problem”. He was incredibly kind and understanding when he said it (otherwise, I probably would have freaked out) but instead, it made me think. It had never before occured to me that this was even a possibility, but then I started to see it EVERYWHERE!!! I literally HATED motherhood until I had my fourth child because I couldn’t control my children’s actions. I couldn’t control how messy the house got. I couldn’t control when or where they threw a fit. I couldn’t control when they walked, how well they talked, or how they “measured up” at their periodic check ups. My need to control the way my husband communicated with me (which words he used), how the house was decorated, and where things should go in the kitchen caused probably 98% of all our marital discord. Tiarra Brown Osei: Wow! Thanks so much for your transparency. I’m sure a lot of women can relate. How did your need to be in control interfere with you trusting the Lord whole heartedly? How did it interfere with you loving others properly? Carolyn: I claimed to trust God my whole life, but when it came down to it, I realized that my relationship was majorly based on my complaining to Him about how almost none of my life had gone according to my plan. My lack of trust made me an incredibly negative person who spent most of her energy crying about how things didn’t go according to plan. But I literally couldn’t even see my problem because I had such “wonderful and loving intentions”. I had countless “reasons” why my way just made sense and why it would be best. I didn’t even see it as selfish or untrusting because I had it so deeply justified in my mind as LOVING!! And yet, when things didn’t go as planned, I was so frustrated that I could barely function and found myself in a near constant depression from trying so hard. It is hard to truly love from that place. Tiarra Brown Osei: I absolutely agree! It truly is difficult to not only love the Lord, but to love others when we’re afraid to let go of our control. Our need to be in control can push people away more and more. Was there ever a time that your need to be in control caused problems in your marriage or as a mom? Carolyn: You’ve already seen a taste of this but, this reason is DEFINITELY pretty much the only way I even discovered my problem. My control problem caused me to believe too much in my ability to control myself as well. I thought that if I could just FORCE myself to be SWEET to everyone while I made them do things my way that they would automattically just listen and comply and all would be well. yet the sweeter I got, the more they (especially my kids) would ignore me and run all over me. The nicer I asked, the less people took me seriously and it led to a sever problem with ANGER! I would be sweet for hours, days, weeks (don’t think I ever made it to a month – maybe with my husband) but then I would absolutely EXPLODE!!! Fire and brimstone type explosion, kids hiding from my screaming rage type explosion, all of a sudden slapping my daughter in the face and accidentally poking her in the eye and leaving a red mark type explosion. The “sweet-mom-has-had-enough” explosions left me concerned for the safety of my children. They made me wonder if I was bipolar or if I just genuinely hated my kids and my life. I didn’t think I hated them but I just didn’t know how to deal with the fact that things pretty much never worked out the way I thought they should. As for marriage, well, I’m pretty sure my husband is going to be a saint if he isn’t already because somehow he loved me and believed in me through all of this even though he certainly recieved his share of the short end of my stick. For six years, I greeted him with mumbles, crying, and complaints as he walked through the door about how each day was more difficult than then last. And when, God forbid, he ever did anything outside the routine of the way I ran the house, I’m sure I let him know about it. Poor man. I can’t even imagine how unloved and unvalued he must have felt. Tiarra Brown Osei: How can having control issues lead to anxiety and depression? Carolyn: We are NOT IN CONTROL. We don’t know everything. No matter how much we think our plan makes sense, no matter how loving we are trying to be – if we are TRYING SO HARD to make our plan work, when those around us have free will, we are bound to be dissapointed. I think that the more loving we think our attempts at control are, the more difficult they are to recognize as controlling and the more detrimental they are to us. It is much harder to accept that things we plan don’t “work out” when we had an elaborate justification for all the reasons things needed to go a specific way. Tiarra Brown Osei: Absolutely! Control issues often lead to depression because it’s almost like we use control as a crutch so to speak and when we don’t have our crutch we become disappointed which can lead to depression. How did prayer play a role in your deliverance from the need to be in control? Carolyn: Honestly, this is a difficult question because I pray all the time, I always have, it’s just part of my life and my routine. I think my prayer life has occaisionally even allowed me to believe that because I “pray so much” that I must be practically perfect and that all my ideas and plans probably come from God – all the more reason to try to enforce them to the death, right? But the biggest thing was that God was planning an answer to my prayers that I didn’t even know about, and that I absolutely COULD NOT control. Tiarra Brown Osei: I love that! Very interesting prospective. What does it mean to you to be an overcomer? How did you overcome? Carolyn: To me being an overcomer means being humble enough to recognize that you actually might be a part of your own problem (that it’s not always everyone else or even the universe that is out to get you) and the willingness to change. For me this came in the form of an uncontrollable situation. Of course I had everything planned out, my fancy birth plan was color coded and well laid out with beautiful bolded headlines and perfectly delineated instructions, and I dialated to 10 cm. I was ready to have this BABY!!! It was going to be my best birth ever. I had this totally under control. I wasn’t even going to scream and I would be home in 3 hours tops. I was strong. I was READY!!! This baby was going to be different. … Well, he was different all right. Somehow, my 4th child spun to transverse somewhere between delivery and 2 days before at our dr appt. Doc went to break my water to make delivery easier and discovered baby had changed position and his, hand, foot and cord gushed out with the burst of water. Suddenly everyone was yelling about ultrasounds and operating rooms, I was torn away from my husband, lifted onto a table, someone was giving me shots to stop the contractions, someone else was trying to hold baby in, someone was moving me from one moving bed to another, someone was tying down my arms (in the shape of a cross) and someone told me “this is going to hurt” – at which point I felt an excruciating pain shoot up my wrist and I blacked out. It was my own personal crucifixion. I felt myself dying for my child. I felt myself being taken where I did not want to go (cite). I woke up dazed and confused just minutes later in SEARING pain, in an entirely different room, in different clothes, surrounded by a ton of people with someone gently slapping my face telling me I had to nurse my baby because he was looking for me. I just did as I was told, unable to fully comprehend all that had just happened in the last 20 minutes since we arrived at the hospital. This was only 15 months ago. This was the most out of control I have ever been in my ENTIRE life. This recovery was terrible with every possible complication followed by a severe case of PostPartumDepression and then a 5th unexpected pregnancy a mere 7 months later. Talk about a year out of control. AND YET!!!! Strangely, this child has changed me, this experience has changed me. I have been completely incapable of controlling anything and finally had to accept this fact. Being literally forced to contemplate this for the last 15 months I have become a better, happier, more in love wife and mother than I ever thought possible. I am now 9 months pregnant with my fifth child that will be my smallest gap ever after such a traumatic experience and somehow I am more excited than I have ever been. My marriage is in a new honeymoon stage on a deeper level than I ever thought possible, my kids are suddenly, shockingly and miraculously well behaved and somehow have seemed to learn more than I ever taught them. Now, God is asking even more trust and more faith from us in asking us to be open to a potential change in careers and moving across country where we know hardly anyone or anything to start a new life. I am scared, but I am now capable of looking at it as an adventure rather than some kind of insanity to scoff at. I am starting to trust. Now I can say “Your will be done” and I think I actually mean it! I have never felt more free. Tiarra Brown Osei: Wow! Praise God!! What would you say to a mom or wife who is struggling with control issues? Carolyn: This is a hard place to be in, espeically if you feel that your desire to control comes from a place of love. It can be so hard to recognize this, much less admit it. But CONTROL is completely INCOMPATIBLE with love!!!! This is why God gave us free will. I cannot tell you what to do or how to do it. I can only assure you that your life and your circumstances WILL improve if you relinquish your death grip on everything around you. Unfortunately, you DON’T know best, but the good news is that SOMEONE DOES!!!! and that someone LOVES YOU and He will make sure that “All things work together for your good” (Romans 8:28) if you love Him. Recognize that letting go isn’t weakness, but rather requires great strength and great trust. True love, true happiness and true freedom are found in ACCEPTANCE and contemplation – looking at the beauty of God’s plan unfolding in hindsight. Isn’t it heavy trying to figure everything out all the time? Isn’t it hard to make sure everything always goes “right”? Isn’t it devasating when things don’t go according to plan? Isn’t it even worse when things don’t go according to plan and it just isn’t as triumphally amazing as you envisioned it? Wouldn’t it be nice if you didn’t have to worry about it any more and everything worked out better than you ever thought? If you’re a woman struggling to overcome control issues and trusting God whole heartedly I pray that Carolyn’s story encourages you to believe that you, too, CAN overcome! Do you know a woman who could use this encouragement? SHARE THIS WITH THEM! I love this! I love hearing others stories of woman and mothers overcoming situations. I have been there many times dealing with control issues and learning to trust God. Thankfully, He knows best and we don’t have to have control of every situation! I am humbled and honored. <3, Blessings! Thanks so much for sharing your story, Carolyn!